Corrugated wrap rolls have many different applications, from wrapping products to keeping items that can scratch or scuff from rubbing against one another. This wrap is frequently used on glass, metal, china, and other breakable or fragile items to protect them from scratches, chips, or breaks. 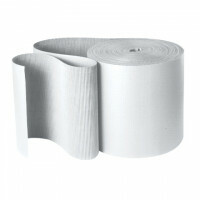 Corrugated wrap provides extra protection when compared to standard paper wrap. This gives you the peace of mind you need when storing or shipping products. It conforms to nearly any shape, making it a very multi-purpose product. We know that the last thing you want is for a product to arrive at a customer with damage. Not only does this hurt your company’s reputation, and it can cause you to spend time sending out another shipment, but we also understand that a replacement may not always be possible. This is especially true if you’re shipping artwork, sculptures, or other fragile items. 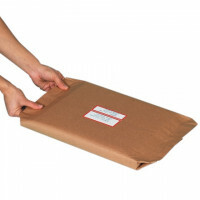 Corrugated wrap also provides shock absorbing protection, similar to bubble wrap, but it is completely recyclable and, in some instances, easier to cut and use. We offer a variety of different width options so you can find the size that you need for your specific purpose. 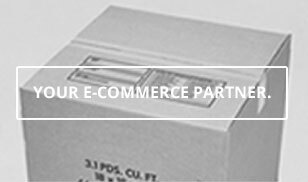 At the Packaging Company, we aim to offer an extensive variety of products to make it simple for our customers to get whatever they’re looking for from one provider, eliminating the requirement to shop around and find various companies to meet all of your needs. We know that you want to get what you’re looking for quickly and at an affordable price, and then get back to work. That’s why we’re here! If you have any questions about any of our corrugated wrap rolls or any of our other products, please do not hesitate to contact us today. We will be more than happy to assist in any way we can.